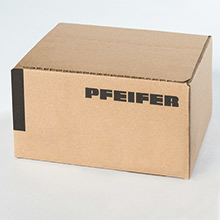 PFEIFER has specialised in the manufacturing of products for the reinforcement of concrete elements for over 25 years. The highest quality standards are indispensable for these products with building authority approval. 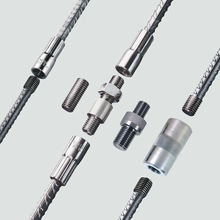 In its early days PFEIFER designed exclusively reinforcing technology in the form of reinforcing steel fastenings, the PH System. PFEIFER started life however as a ropery and from the mid-1990s it started to manufacture cable systems for static load bearing reinforcement connections, the VS® System.In-house-monitoring, optimised test equipment and external monitoring as required are a given in the development of PFEIFER products. Continuous refinement and additions of our high quality products ensure that all work is monitored and tested according to the latest state of the art.